If any of the following conditions occurs, this indicates a malfunction of the SRS.We recommend that the system be inspected by an authorized Kia dealer. If an air bag deploys, there may be a loud noise followed by a fine dust released in the vehicle. These conditions are normal and are not hazardous - the air bags are packed in this fine powder. 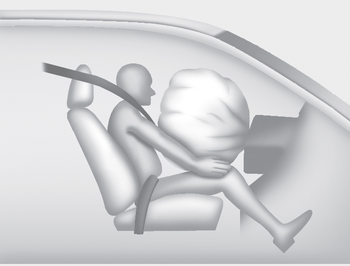 The dust generated during air bag deployment may cause skin or eye irritation as well as aggravate asthma for some persons. 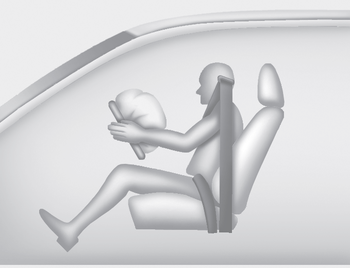 Always wash all exposed skin areas thoroughly with cold water and mild soap after an accident in which the air bags were deployed. 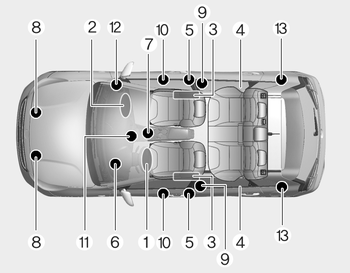 The SRS can function only when the ignition key is in the ON position. If the SRS air bag warning light does not illuminate, or continuously remains on after illuminating for about 6 seconds when the ignition key is turned to the ON position, or after the engine is started, comes on while driving, the SRS is not working properly. If this occurs, we recommend that the system be inspected by an authorized Kia dealer. Before you replace a fuse or disconnect a battery terminal, turn the ignition switch to the LOCK position and remove the ignition key. Never remove or replace the air bag related fuse(s) when the ignition switch is in the ON position. 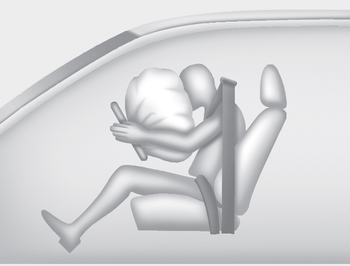 Failure to heed this warning will cause the SRS air bag warning light to illuminate.